We are offering wide range of Bottle Cap Injection Molding Machine. This machine is manufactured using premium quality components and other raw material which are available to client at affordable prices. We are leading manufacturer of injection molding machine in Ahmadabad. We have large range of injection molding series for various application industry. 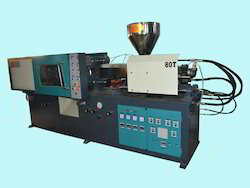 We are leading manufacturer of Bottle Cap Plastic Injection Molding Machine in Ahmedabad, Gujarat, India. We are serving this industry from long years. We have different range of machine with small to large as per application industries. Looking for Bottle Cap Injection Molding Machine ?